April 14th, 2019: Haines City 70.3 - Deb Daley was 5th in the 50-54 AG in 5:38:55. Mark Swart was also 5th in the 50-54 AG in 4:55:59. March 30th, 2019: Gene Crusie won the 45-49 AG and was 19th overall at the BlueGrass 7 miler in 54:41. March 24th, 2019: Brent Taylor won the 35-39 AG and was 4th overall at the Nutri Run 5 miler in 34:31. March 24th, 2019: Grant Reuter was 3rd overall in 22:05 at the All Out Spring Fever 5k. March 24th 2019: Tim Fry finished the Gran Fondo Florida 100 Miler with a 15th in the 45-54 AG. March 17th 2019: Mark Swart was 2nd in the 50-54 AG and 7th overall in 2:23:36 at the Great Clermont Olympic Triathlon. March 17th 2019: San Juan 70.3 - Caesar DeJeus- 7:25:46 38th 55-59 AG and Jaime finished in 8:09:42 in the 40-44 AG. 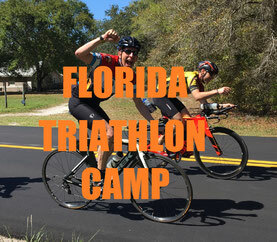 March 10th 2019: Thank you to everyone who participated this year in the 5th annual Florida Triathlon Camp. There were 22 participants and some great fitness and knowledge gained over the week. Next years dates and info can be found here and will be fully updated soon. February 24th 2019: Deb Daley was 1st in the 50-54 AG in 48:53 at the SunRunners 10K. February 10th 2019: Donna Half and Full Marathon - Mark Swart Boston Qualified in 3:19:17 to win the 50-54 AG. Deb Daley went 1:43:11 in the Half Marathon for 2nd in the 50-54 AG. February 10th 2019: Publix Half Marathon - Nick Blaser -PR'd - in 1:44:07 for 7th in the 45-49 AG. Erin Freel was 2:26:07 for 29th in the 45-49 AG. February 9th 2019: Golden Night a Day Half Marathon - Josh Rexing was 3rd in the 40-49 AG in 1:48:16. February 3rd 2019: GroundHog 5 Miler - Brent Taylor went 35:02 for first in the 30-34 AG. January 20th 2019: Key West Half Marathon - Tim Fry went 2:14:54 for 54th in the 50-54 AG. December 29th 2018: HUFF Trail Run One Lapper - Davon Geiger was 6th overall of the 190 runners in 1:19:38 and Jason McDaniels was 14th overall in 1:26:46. December 15th 2018: Jacksonville Marathon and Half Marathon: Deb Daley went 3:37:46 within a few minutes of a 4.5 year old PR taking 2nd in the 50-54 AG. Mark Swart continued his comeback with a 1:28:30 for 3rd in the 50-54 AG. December 9th, 2018: Kyle Tolliver set a PR at the Santa Hustle Half Marathon in 1:40:36 Sunday for 4th in the 45-49AG. Ryan Koepke - 2:39:14 for 18th 30-34 AG; Nick Blaser - 2:52:48 for 20th in the 45-49; Tim Fry - 3:23:09 for 27th in the 50-54 AG; Erin Freel - 3:36:50 for 14th in the 45-49. November 25th, 2018: Nick Blaser set a 51' PR at the Space Coast Marathon in 3:45:13 for 10th in the 45-49 AG. Erin Freel went 2:06:52 in the Half Marathon for 27th in the 45-49 AG. November 17th, 2018: Sara Randolph Kona Qualified for the 2nd time at Ironman Malaysia - winning the 40-44 AG in 11:07:14. November 11th, 2018: Madison Marathon - John Bormann did his first open marathon in 3:35:16 for 10th in the 50-54 AG. November 11th, 2018: Las Vegas Half Marathon - Dave Martin went 1:42:21 for 28th in the 50-54 AG. November 3rd, 2018: Monumental Half Marathon - Ben Stone set a 14' PR in 1:27:o4 for 22nd in the 20-24 AG, Ryan Koepke set a 4.5' PR in 1:36:36 for 57th in the 30-34 AG, Ruth Stone went 2:22;57 for 160th in the 50-54 AG, Tim Fry went 2:08:34, within 40" of a PR, for 158th in the 50-54 AG. November 3rd, 2018: Monumental Marathon - Brent Taylor finished his first Marathon strong in 3:40:54 for 141st in the 30-34 AG. November 3rd, 2018: Conchman Olympic Triathlon(30 mile bike) - Nick Blaser set PR bike power and run pace numbers taking 3rd overall. October 21st 2018: 70.3 New Orleans swim shortened to 600 meters due to high winds - Jason Tucker had a best 6th place in the 35-39 AG and PR run split of 1:31:24 to finish in 4:23:48. October 21st 2018: 70.3 Arizona - Nate Winslow had a PR 33:41 swim on his way to 37th in the 50-54 AG in 6:20:59. October 21st 2018: Red Rock Canyon 10 miler - Josh Rexing was 3rd in the 40-49 AG in 1:14:11. October 2oth 2018: MR Halloween Half Marathon - Kevin Davis went his fastest half marathon since 2014 in 1:40:34 for 5th in the 30-39 AG. September 29th 2018: Fort 4 Fitness 1/2 Marathon --->Ryan Perkins set a PR in 1:28:54 for 3rd in the 35-39 AG and John Bormann PR'd in 1:38:30 for 7th in the 50-54 AG. September 29th 2018: Hoosiers OutRun Cancer 5k and Vegas Strong 5k--->Ben Stone set a 5k PR in 18:56 for 4th in the 20-29 AG & Josh Rexing was 3rd in the 40-44 AG in 20:36. September 29th 2018: Ironman Maryland--->Joe Hysong 14:19:05 for 46th in the 55-59 and Tim Fry was 14:57:14 for 116th in the 50-54 AG's. September 29th 2018: Crystal River Sprint Tri Series -Erin Freel and Nick Blaser both won the series in the 45-49 AG after finishing the final race Saturday. September 9th 2018: Ironman Wisconsin results--->> John Bormann - 11' PR in 11:38:07 for 18th of 181 in the 50-54 AG; Jason McDaniels 12:27:26 for 66 of 240 in the 40-44 AG. September 2nd 2018: Krystina Stadler won overall at the Bonney Lake Sprint Triathlon in 1:09:20. September 1st 2018: Crystal River Sprint Triathlon #2 - Erin Freel was 2nd in the 45-49 AG in 1:22:21; Nick Blaser was 3rd in the 45-49 AG in 1:09:48. August 26th 2018: Jon Bomberger went 2:46:46 for 18th in the 55-59 AG at the Chicago Olympic Triathlon. August 26th 2018: Erin Freel was 3rd in the 45-49 AG at the Hammer Head Sprint Triathlon in 1:16:39. Nick Blaser was 3rd in the 45-49 AG at the Hammer Head Olympic Triathlon (shortened bike) in 2:23:07. August 19th 2018: Sara Randoph set a 5' PR in 10:39:45 and was 3rd in the 40-44 AG at Ironman Mont-Tremblant, Canada. August 19th 2018: Diana Schowe was 2nd female and 7th of all finishers at the Full Iron Michigan Titanium Aqua Bike in 7:02:33. August 18th 2018: Krystina Stadler was 2nd overall in 1:10:10 at the Girlfriends - All Womens Triathlon in Vancouver, WA. August 11th 2018: Nick Blaser went 1:05:20 for 2nd in the 45-49 AG at the Clermont Sprint Triathlon #3. August 11th 2018: JoAnne Peterman was 10th in the 55-59 at the Iron Girl Pleasant Prairie Sprint Triathlon in 1:34:50. August 4th 2018: Krystina Stadler was the 2nd OA female at the Black Diamond Sprint Triathlon in 1:19:40. July 29th 2018: At the Tri Indy Olympic - Jason Tucker set a 20' PR in 2:07:52 for 10th OA and 2nd in the 35-39 AG. Kyle Tolliver made an awesome return to racing in 2:34:17 for 8th in the 45-49. July 28th 2018: JoAnna Bormann was 2nd in the 19-24 at the Spirit, Mind, Body Triathlon in 1:01:18. July 15th 2018: Nick Blaser was 2nd in the 45-49 AG and 25th OA of 270 racers at the Clermont Sprint Triathlon in 1:04:57. July 15th 2018: Ryan Koepke was 17th overall in 59:19 at the Indy Sprint Triathlon #2. July 4th 2018: Kevin Davis(4th 35-39 AG), Tim Fry(8th 50-54 AG) ,and Monte Hitchcock(1st 65-69) AG) raced on the 4th at local 5k's and 4 milers. July 1st, 2018: At the New York City Olympic Triathlon Erin Freel went 3:04:23 for a 3.5' PR (23 of 70 in the 45-49 AG) and Nick Blaser matched his PR in 2:34:12 for 27 of 244 in the 45-49 AG. June 30th, 2018: Diana Schowe(1:13:58), Davon Geiger(1:02:55), and Ryan Koepke(1:08:29) raced the Warsaw Sprint Triathlon. Davon and Diana each took 3rd overall in their genders and cut several minutes off last years results at the same race - Ryan Koepke took 15th overall and 5th in the 30-34 AG. June 24th, 2018: Pleasant Prairie Olympic - Dave Martin set a 7' PR in 2:21:48 for 4th in the 50-54 and JoAnne Peterman was 10th in the 55-59 in 3:36:57. June 17th, 2018: Krystina Stadler was 4th OA female at the Black Hills Sprint Triathlon in 1:12:06. June 10th, 2018: Grand Rapids Half Iron - Ryan Perkins set a 27' PR in 5:02:10 for 9th in the 35-39. Jon Bomberger set a 5' PR and came back from a broken femur in late 2017 for 4th in the 55-59 in 5:43:58. Davon Geiger was within 30" of a PR in 4:36:22 for 2nd in the 20-24 AG. In the AQ Bike Diana Schowe won the OA Womens race in 3:14:19 and was 3rd among all racers. June 10th, 2018: At the Grand Rapids Olympic Tri - Ruth Stone went 3:02:59 for a 12' PR and 5th in the 50-54. Ryan Koepke, coming back from a badly separated shoulder late in 2017, set a 2' PR in 2:25:20 for 7th in the 30-34 AG. June 10th, 2018: At the Wisconsin 70.3 - Dave Martin went 5:20:27 for 7th in the 50-54, despite being directed 1.5 miles off the bike course. Joe Hysong placed 35th of 80 in the 55-59 in 6:17:18. June 10th, 2018: At the Heartland Olympic Mark Swart won the 50-54 AG in 2:16:27 with a 6' post knee operation(2 of them over the last several years) PR at the distance. June 10th, 2018: Ironman Boulder was a combination of 5000+ feet elevation and 95 degree temps - Nick Blaser and Tim Fry were able to survive the conditions and a high DNF rate to get to the finish line. That's all that really mattered at this one - congrats guys. June 3rd, 2018: Diana Schowe was female masters champion, Jason Tucker was 2nd overall, Ryan Perkins was 13th overall, and Monte Hitchcock was 21st overall at the Fox Island Sprint Triathlon. June 3rd, 2018: John Bormann 'Escaped from Alcatraz' in 3:12:33 for 63rd in the 50-54 AG. June 3rd, 2018: Krystina Stadler went 5:30:29 for 13th in the 30-34 AG at the Victoria 70.3. May 27th, 2018: Nick Blaser set another PR - this week at the Crystal River Sprint Triathlon going 5' faster than his best on the course in 1:09:29. This put him 2nd in the 45-49 age group. May 2oth, 2018: At the Chicagoland Marathon Ryan Perkins was 12th overall in 3:04:24 setting a 6' PR for the distance and earning a Boston Qualification. May 19th, 2018: Josh Rexing went 2:22:39 for 1st in the 45-49 AG at the Sand Hollow Olympic Triathlon. May 13th, 2018: At Ironman Santa Rosa - Sara Randolph was 3rd in the 40-44 AG within a few seconds of PR in 10:44:30. Nate Winslow also had a solid race in 12:10:30 for 36th in the 50-54 AG. May 12th, 2018: Ben Stone set a 19' PR in 2:04:54 for 2nd overall at the Thunder in the Valley Olympic Triathlon in Terre Haute, IN. May 12th, 2018: Davon Geiger set a 3' PR in 2:18:21 for 4th overall at the Muncie May Olympic Triathlon. John Borman went 2:40:31 for 3rd in the 50-54 AG, Kyle Tolliver went 2:46:22 for 6th in the 45-49, and Jon Bomberger went 2:53:41 for 4th in the 55-59. May 12th, 2018: Ryan Koepke was 4th overall in the Muncie May Sprint Triathlon in 1:05:30. May 6th, 2018: Congrats at the Broad Street 10 Miler to Deb Daley for 15th of over 1000 entries in the 50-54 in 1:16:57. May 5th, 2018: Congrats at the Indy Mini to Tim Fry on a PR in 2:07:55 one week after racing the Kentucky Derby Half. Jason McDaniels went 1:31:11 for 32 in the 40-44AG and Ryan O'Shaugnessy went 1:34:46 for 67 in the 20-24AG. May 5th, 2018: Congrats at the Wisconsin Marathon to Dave Martin finishing in 3:23:04 for 4th in the 45-49 AG. JoAnne Peterman raced the Half Marathon in 2:23:38 for 21st in the 50-54 AG. April 28th, 2018: Congrats at the BSU Spring Sprint Triathlon to Davon Geiger for 2nd place overall in 50:10. April 28th, 2018: Congrats Ryan Perkins on the overall win at the Glacial Esker 20 Trail Run at Chain O'Lakes State Park in 2:41:39. April 28th, 2018: Congrats at the Kentucky Derby Half Marathon to Kyle Tolliver for a PR run in 1:40:40 for 31st in the 45-49 AG and to Tim Fry in 2:09:10 for cutting 7' off his best half marathon result from 2017 and within 1' of a lifetime PR. April 28th, 2018: Congrats at Ironman Texas to Monte Hitchcock for 6th in the 65-69 AG in 12:50:01 and to Gary Thomas for 238th in the 40-44 in 13:22:27. April 28th, 2018: Congrats Kevin Davis on 23rd overall at the Coopers Rock Trail Half Marathon with 2000 feet of climbing in 2:17:26. April 22nd, 2018: Congrats to John Bormann on a 5' PR at the Glass City Half Marathon in 1:39:56 for 13th in the 50-54 AG. April 22nd, 2018: Congrats at the Tusk Sprint Triathlon to Ben Stone on winning the race overall in 1:00:58. April 22nd, 2018: Congrats at the Carmel Sprint Triathlon to Ryan O'Shaughnessy for 9th OA in 56:16, his fastest time here - and to Ryan Koepke on his first triathlon race after injury in late 2017 for 22nd overall in 59:29. April 22nd, 2018: Congrats Deb Daley at the Florida Half Triathlon for winning the Overall Masters race in 4:39:00 (no swim due to rough water). April 8th, 2018: Congrats at the Haines City 70.3 to Deb Daley for 2nd in the 50-54 AG in 5:19:13; Jason Eagleston for 18th in the 35-39 AG in 4:47:22; and to Jason Tucker for 31st in the 35-39 AG in 5:00:05. April 7th, 2018: Congrats Sara Randolph on 5:04:49 at the Oceanside 70.3 for 3rd in the 40-44 AG - her time was 21 minutes better than her 2017 result here. Congrats Josh Rexing raced his first 70.3 since 2016 and was 5:47:30 for 124th in the 45-49 AG. April 7th, 2018: Congrats Dave Martin on 1:33:05 for 3rd in the 50-54 AG at the South Shore Half Marathon cutting over 4' off his November 2017 half marathon result. April 1st, 2018: Davon Geiger had a solid half marathon result at the Carmel Half Marathon taking 4th in the 20-24 AG in 1:22:08. April, 1st 2018: Nick Blaser and Erin Freel raced the HITS Ocala Olympic Triathlon yesterday. Nick set a 9' PR in 2:34:07 for 2nd in the 45-49 AG and Erin took 2nd in the 45-49 in 3:16:28. March, 25th 2018: Congrats to Ryan Koepke for 4th overall/1st 30-34 AG and over a 1' PR off his 2017 result at the Nutri Run 5 miler in 34:41. March, 25th 2018: Congrats to Jason Eagleston for 11th overall/2nd 30-34 AG and a 34" PR in 38:56 at the Run for the House 10k in Okemos Michigan. March, 10 2018: Congrats to John Van Alsburg on 4th in the 45-49 AG in 21:39 at the Shamrocks and Shenanigans 5k in Ann Arbor, Michigan. February 16th, 2018: Check out the only triathlon series in Fort Wayne, Indiana. 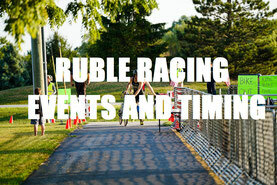 www.fwtriseries.com Registration is now open! January 14th, 2018: Congrats to Deb Daley on a 1:42:16 finish at the Fort Pierce Half Marathon to win the Masters division and cut near 5' off her best half in 2017. January 13th, 2018: Congrats to Erin Freel(23:32) and Nick Blaser(20:16) on their overall masters wins at the Horse Country 5k. January 7th, 2018: Congrats Nate Winslow going 3:52:59 for 55th in the 50-54 age group and the Disney Marathon. December 31st, 2017: Check out a summary of our 2017 results below! Davon Geiger was 1st overall in the 11 mile race in 1:34:35, Jason McDaniels 19th in 1:51:54, and Joe Hysong 52nd in 2:08:48. December 10th, 2017: Nate Winslow went 1:41:41 for 11th of 56 in the 50-54 age group at the Scottsdale Arizona Half Marathon. December 9th, 2017: Jason Tucker was 6th overalL at the Fire and Ice 5k in 19:36 and Gary Thomas was 18th in 24:09. November 19th, 2017: Sara Randolph went 10:43:27 to set a 4' PR at Ironman Arizona and place 4th in the 40-44 AG. November 12th, 2017: Deb Daley was 6th in the 45-49 at the Miami Man Half Iron in 5:35:39. November 4th, 2017: At Ironman Florida John Borman went 12:02:53 for 54th in the 50-54 AG. November 4th, 2017: At the Monumental Marathon Ryan Perkins went 3:10:48 for 80th in the 35-39 AG . Jaime Becker cut 9' off her most recent half marathon in 2:36:19 for 419 in the 40-44 AG. October 29th, 2017: Deb Daley went 1:46:52 at the Halloween Half Marathon for 3rd overall female of 195 females and 1st in the 45-49 AG. October 28th, 2017: Joanne Peterman set a 30" PR in 28:43 at the Spooktacular 5k for 1st in the 50-54. October 22nd, 2017: Kevin Davis set a 10' PR in 5:43:26 at the Miami 70.3 for 118th in the 35-39 AG. October 7th, 2017: Indy Half Marathon at Fort Ben: Ryan Koepke went 1:42:19 for 25th in the 30-34; Joe Hysong was 2:00:49 for 29th in the 45-49; Jaime Becker was 86th in the 40-44 in 2:45:32. September 24th, 2017: Ironman Chattanooga - Dirk Pauley was 9th in the 45-49 AG in 10:18:50. Debra Daley was 10th in the 45-49 AG in 12:18:02. Joanne Peterman finished her first Ironman for 84th 50-54 in 16:02:57. September 16th, 2017: Josh Rexing was 3rd overall at the Twilight Half Marathon 1:40:33. September 1oth, 2017: Sara Randolph was 4th in the 40-44 AG in 4:44:45 at the Santa Cruz 70.3. A PR potential day but they had to cut the swim short there. September 1oth, 2017: Monte Hitchcock was 22nd in the world in the 65-69 AG at the 70.3 World Championships in Chattanooga. Bentley Walker also took 174th in the 35-39 AG. September 1oth, 2017: John VanAlsburg went 12:59:46 for 93rd in the 45-49 AG at Ironman Wisconsin. August 27th, 2017: Congrats John Bormann on a 7' Olympic Distance PR (2:28:15) and 5th of 142 in the 50-54 at the Chicago Olympic Triathlon. August 20th, 2017: Congrats Joe Hysong and Nate Winslow on Ironman finishes in Canada and Denmark today. Joe was 13:02:33 at Ironman Copenhagen for 72nd in the 55-59. Nate Winslow was 12:45:52 at Ironman Mont-Tremblant in his 12th IM finish for 92nd in the 50-54. August 13th, 2017: Steelhead 70.3 Results - Monte took first in the 65-69 in 5:32:26. Joanne set a 6' PR in 7:28:23. Davon set his 3rd straight 70.3 PR in 4:35:54 and was 4th in the 18-24. Jason Eagleston had a PR run and was 8th in the 30-34 with a 4:37:25. Dirk went 4:39:08 for 6th in the 45-49. John VanAlsburg had his 2nd fastest 70.3 in 4:57:16 for 16th in the 45-49. Jason McDaniels went 5:10:44 for 39th in the 40-44. August 12th, 2017: Jason Tucker was third overall at the Lake Max Sprint Triathlon in 58:35. August 12th, 2017: Diana Schowe was first overall female at the Syracuse Sprint Triathlon in 1:14:22. August 6th, 2017: Debra Daley won the 45-49 age group at the Lake Logan 1/2 Iron in 5:25:13(3000+ feet of gain on the bike) and was 14th overall female. July 30th, 2017: Davon Geiger set an 11' best at the Ohio 70.3 in 4:39:51 - for 4th in the 18-24. Ryan Koepke set a 6' PR in 5:24:39 for 39th in the 30-34. July 30th, 2017: Caesar DeJesus went 2:58:24 for 15th in the 55-59 at the Tri Indy Olympic. July 29th, 2017: Jason Tucker(37:49) and Diana Schowe(44:53) were first male and female overall at the Jorgensen YMCA Super Sprint Triathlon and Jason McDaniels(44:14) was 7th overall. July 23rd, 2017: Krystina Stadler and Jason Eagleston finished their first official Ironman distance races in Lake Placid. Krystina was 9th in the 30-34 in 11:28:38. Jason was 18th in the 30-34 in 10:37:56. July 15th, 2017: Ryan Koepke was 8th of 339 finishers at the Indy Sprint Triathlon in 58:24. July 9th, 2017: Joe Hysong went 6:54:02 for 39th in the 55-59 age group at the Muskoka 70.3. July 8th, 2017: Muncie 70.3 results - John Bormann PR'd in 5:13:07 for 22nd in the 50-54. Ryan Perkins PR'd in 5:29:37 for 67th in the 35-39. Monte Hitchcock went 5:30:44 winning the 65-69). Jason Tucker went 4:45:43 for 13th in the 35-39. Shane Slaven was 4:59:35 for 25th in the 40-44. Gary Thomas had a training day in 6:14:53 for 113 in the 40-44. July 8th, 2017: Joanne Petermann set a 16' PR at the Pewaukee Olympic Triathlon in 3:00:09 for 4th in the 50-54 age group. June 25th, 2017: Sara Randolph was first overall female at the California Sprint Triathlon in 1:01:12 - winning by 4 minutes. June 24th, 2017: Warsaw Sprint Triathlon - Diana Schowe was 2nd overall female in 1:17:59. Davon Geiger was 4th overall in 1:04:10 winning the 20-24 AG. Ryan Koepke was 11th overall in 1:08:08 and 2nd in the 30-34 AG. John Bormann was 36th OA in 1:14:53 and 3rd in the 50-54 AG. June 18th, 2017: Krystina Stadler was first overall female at the Lumberman Olympic Triathlon in 2:31:12 and was 6th OA among all racing. June 18th, 2017: Heartland Triathlons - Deb Daley was 2nd OA female masters and 1st 45-49 in 2:37:05 for the Olympic Distance. At the Sprint Kevin Davis was 4th in the 35-39 in 1:13:12. June 18th, 2017: Joe Hysong was 4th in the 55-59 AG at the Maumee Olympic Triathlon in 2:46:56. June 17th, 2017: John Van Alsburg finished the single speed division of the LumberJack 100 mile off road cycle race in 8:57:11 for 20th place. June 11th, 2017: Grand Rapids Half Ironman - Davon Geiger set a yuge PR in 4:50:50 for 2nd in the 20-24 AG and 19th OA; Dirk Pauley rode 9 miles off the bike course but still managed 6th in the 45-49 AG with a 5:22:50. June 11th, 2017: Grand Rapids Olympic - Ryan Koepke set a PR in 2:27:32 for 5th in the 30-34 AG; Bentley Walker was 4th overall and 1st 35-39 AG in 2:08:28. June 11th, 2017: At the Wisconsin 70.3 Jason Eagleston went 5:06:25 for 19th in the 30-34 AG and John Hart was 5:14:24 for 26th in the 40-44 AG. June 10th, 2017: Shane Slaven was 3rd overall at the Muncie Olympic Triathlon in 2:30:50. May 28th, 2017: At the Bayshore Marathon Jason Tucker set a 54' PR in 3:17:20 for 25th in the 35-39 AG and Joe Hysong went 4:25:35 for 49th in the 55-59 AG. May 21st, 2017: Diana Schowe was 1:29:36 for 1st Masters and 19th OA at the Pokagon Sprint Triathlon. May 21st, 2017: At the Chattanooga 70.3 Jason McDaniels went 4:53:00 for 45th in the 40-44 AG. Ryan Perkins was 5:23:14 for 109th in the 35-39 AG. They had to shorten the swim to 1200 meters at this race or these would both be PR times. May 14th, 2017: Krystina Stadler was 2nd overall female at the Power Smith Mountain Lake Sprint Triathlon in 1:`17:50. May 14th, 2017: Sara Randolph was 5th in the 40-44 AG at the Santa Rosa 70.3 in 5:09:48. May 14th, 2017: Debra Daley went 3:51:53 for 2nd in the 45-49 AG and earning another Boston Qualifier by 9'. May 13th, 2017: Muncie Olympic results: Davon Geiger went 2:21:29 for 7th overall, 1st in the 20-24, and an 8' PR time. Ryan Koepke went 2:28:08 for 16th overall. John Bormann went 2:35:39 for 5th in the 50-54 and a 10' PR time. Jon Bomberger was 2:54:32 for 3rd in the 55-59 AG. May 13th, 2017: Diana Schowe went 33:12 for 5th in the 50-54 at the Pink Ribbon Run 4 miler. May 6th, 2017: Indy Mini Marathon results: Jason McDaniels went 1:36:44 for 628th overall of 19K finishers. Ryan O'Shaughnessy was 1:43:44 for 1280 overall. April 30th, 2017: Saint Anthonys results: Bentley Walker went 1:59:04 for 17th Overall. JoAnne Peterman was 3:11:09 for 36th in the 50-54. April 29th, 2017: John Hart went 1:36:17 for 9th in the 40-44 and 109th of 17,000+ runners at the Nashville Half Marathon. April 26th, 2017: Kevin Davis was 9th overall at the Duval Street Mile in 5:46. April 22nd, 2017: Ironman Texas results: Gary Thomas set nearly a 30' PR in 12:32:58; Jason McDaniels set a 9' PR i 11:09:14; Sara Randolph was 9th in the 40-44 with a 1' PR in 10:47:49; Monte Hitchcock took 2nd in the 65-69 in 12:36:25 - his fastest time on this course since 2014. April 22nd, 2017: Krystina Stadler was the 3rd overall female on a 90 degree day at the White Lake Spring Half in 5:08:50. April 22nd, 2017: Shane Slaven set a 4.5' PR 1:28:29 at the Carmel Half Marathon for 29th OA and 5th in the 40-44. April 17th, 2017: Debra Daley finished her first Boston Marathon in 4:00:57. Not a perfect day, but a great milestone regardless. April 10th, 2017: Jason Eagleston set a 2.5' PR at the Florida 70.3 in 4:33:25 good for 20th in the 30-34 age group. April 10th, 2017: Davon Geiger had a 2' PR at the Hoosier Half Marathon in 1:20:11 to place 49th overall. Jason Tucker went 1:29:40 for 6th in the 30-39. April 9th, 2017: Tatjana Karr was the 11th OA female at the San Diego MedioFondo in 3:36:55. April 1st, 2017: Sara Randolph was 5th in the 40-44 with a 5:25:20 finishing time at the Oceanside 70.3. April 1st, 2017: JoAnne Peterman went 2:24:48 at the South Short Half Marathon for 18th in the 50-54. March 25th, 2017: Cindy Erickson went 2:52:08 for 7th in the 60-64 at the Ann Arbor Half Marathon. March 25th, 2017: Ryan Koepke was 6th OA in 35:45 at the Nutri Run 5 miler. March 5th, 2017: Debra Daley was 3rd in the 45-49 at the Half Marathon of the Treasure Coast in 1:44:20. March 3rd, 2017: Our 3rd annual training camp in Clermont, Florida was the best one yet. 15 participants worked through the now 4 day camp and came away with a good fitness boost to start the 2017 season. January 15th, 2017: Debra Daley was 2nd in the 40-49 and 9th OA in 1:47:10 at the Fort Pierce Lions Half Marathon.